We produce the Spark Ti Machining Centers for customers requiring very high performances for the machining of difficult materials particularly with regard to titanium alloys used in the aeronautic sector. The Spark Ti is the essence of techniques and guarantees maximum efficiency in heavy roughing operations and accurate finishing with continuous 5-axis machining. 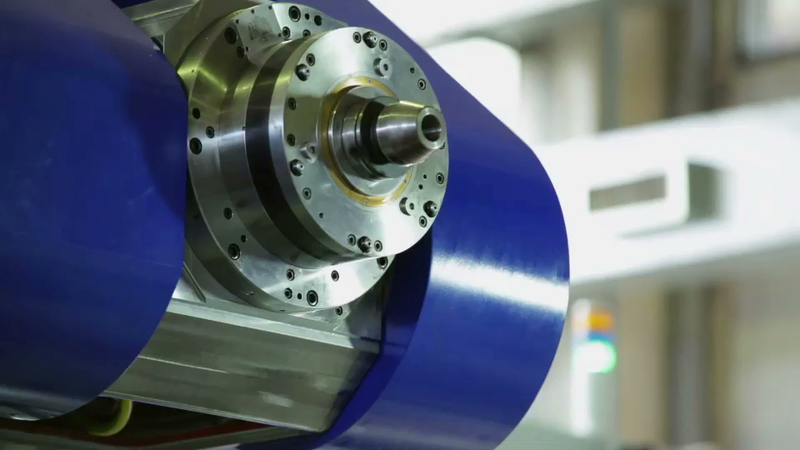 The available spindles and electro-spindles generate very high torque. The structures guarantee maximum stiffness in dynamic conditions. The technologically advanced vibration damping devices assure stable cutting even in the most demanding conditions. With the coolant pressure at 100 bar and flow rates of up to 150 liters/min, there is still an excellent chip control. The surface quality of the machined workpieces is outstanding thanks to the kinematic chains without backlash.